Commuters waited for a Red Line train at the Park Street stop last December. As the Massachusetts Bay Transportation Authority considers fare increases, advocates for low-income residents are encouraging the agency to implement something new in the state: discounts for those customers who have the hardest time paying. The MBTA recently tested income-based discounts on its service for disabled riders, and Transportation Secretary Stephanie Pollack has voiced support for discounts broadly applied to thousands of low-income riders. But income-based discounts on public transit — or “means-testing” — are still a rarity across the country, and Laurel Paget-Seekins, the T’s director of strategic initiatives, said the agency would need to carefully study the idea more before implementing any discounts. Transit officials, who are evaluating the results of their test discount program for disabled users of its RIDE program, say any broader program would not be ready this year. Yet, with some fares and pass prices expected to increase anywhere from 4 to 23 percent, advocates argue that now is the time to offer a break to lower-income riders — even if it costs millions in lost revenue. Low-income riders tend to need the MBTA the most. Transportation experts say people with low incomes are more likely to spend a bigger chunk of their paycheck on transit and lack a personal car or other alternatives, such as a friend who can provide a reliable ride. Many roadblocks have stopped such discounts for low-income riders across the country, according to experts. Those problems include logistical difficulties with verifying who qualifies for the discounts and transit agencies that need more revenue to replace aging trains. Still, a few agencies have managed to implement such discounts. The San Francisco Municipal Transit Authority began providing a “LifeLine” monthly bus pass to poorer riders in 2005. The passes cost $35, about half as much as the regular price, and the agency sells about 19,500 of them a month. The most prominent example so far is in King County, Wash., which includes the city of Seattle. Under a program launched last March, riders who come from households that make less than double the federal poverty level — or about $40,180 for a family of three — are able to get up to 50 percent off their rides. Officials there wanted to address the growing income inequality in the region, according to Dow Constantine, a top King County official. Poorer residents were getting priced out of Seattle, because of high housing costs, and were moving to outlying suburbs and becoming even more reliant on the transit system to access jobs in the economic heart of the county. It mirrors the issues in Greater Boston, where rents in 2015 climbed at the highest rate in at least six years. King County had hiked fares five times since 2008, and officials worried about the system’s affordability. King County Metro Transit uses networks that were already in place to verify incomes for the Affordable Care Act and groups that already reach out to low-income residents: the public health department, Catholic Community Services, the YWCA, a housing alliance group, and several other organizations. Riders bring documents to verify their income — such as pay stubs or cards for Medicaid or food stamps — to those agencies, which then register the riders and give out discount cards. The program has remained popular and the numbers grow every month, a King County spokesman said. Through last year, 22,674 signed up for the program, according to preliminary numbers. But it also costs the agency money: The county initially estimated it could cost $7 million to $9 million for the first two years. 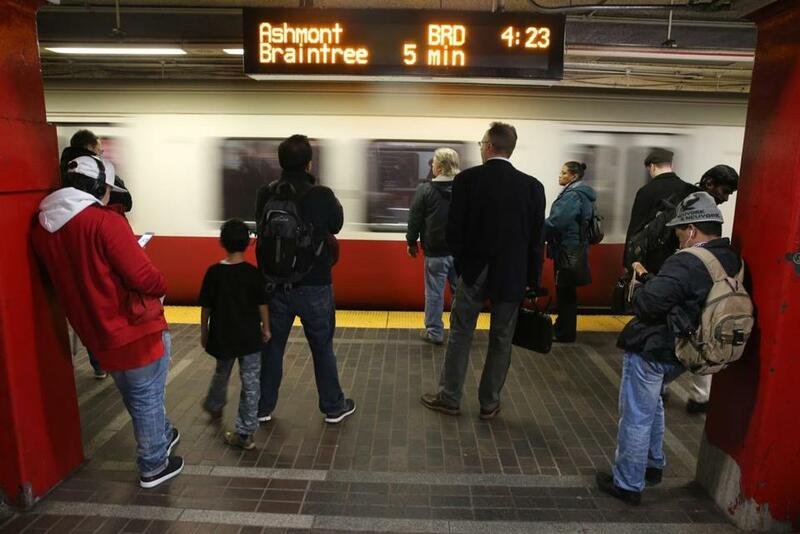 The MBTA could adopt a similar model, which would call on other agencies to help verify the income levels of riders. At least one organization has already stepped up to say it could help in such an endeavor. John J. Drew, the chief executive of the antipoverty organization Action for Boston Community Development, said his employees reached out to the MBTA after first hearing about a possible discount for low-income riders. “We help 100,000 people all over Greater Boston,” Drew said. “We have the apparatus where we could document and certify people” as low-income. Drew, who objects to the MBTA’s proposed fare increases in general, said he believes such a program would be an important step in helping some of the people who need the T the most. “There are an awful lot of people who totally depend on that system, and their lives depend on that system because they can lose their jobs and everything else,” he said. Low-income discounts do have their critics. James Aloisi, a former transportation secretary under then-Governor Deval Patrick, has worried that continuing to increase fares for some, while giving breaks to others, will encourage those paying higher fares to leave — and those riders are often best at advocating for a better transit system. Others think the trend could catch on. Volinksi, of the University of South Florida, acknowledges the reticence from transit agencies to take on complicated initiatives, but he thinks more will eventually consider jumping into the business of giving a break to the riders who need it most.